I am pleased to offer my patients the most beautiful and natural looking crowns available. E-Max offers an ALL CERAMIC crowns allowing your smile to be dazzling without the "tell tale" grey line near the gums of traditional crowns. Made out of monolithic lithium disilicate ceramic, they are remarkably durable, extremely strong and fit beautifully. 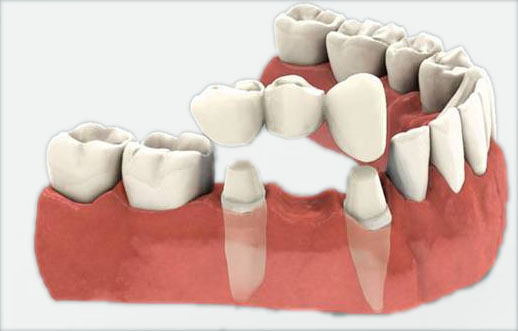 E-Max crowns are custom made with the highest care by our in house dental laboratory facility. Our technicians custom design and create dental restorations with translucency, natural color, and impressive strength. As a Cosmetic Dentist and a Specialist in Prosthodontics , I find these all ceramic crowns to be exceptional and all my patients are amazed how natural they look. Being an Orange County Dentist I am aware of the importance my patients place on looking their best and receiving exceptional care. Research and development of new products in restorative dentistry has enhanced the growing expectations my patients have and I believe in providing our patients with the best products and materials available.